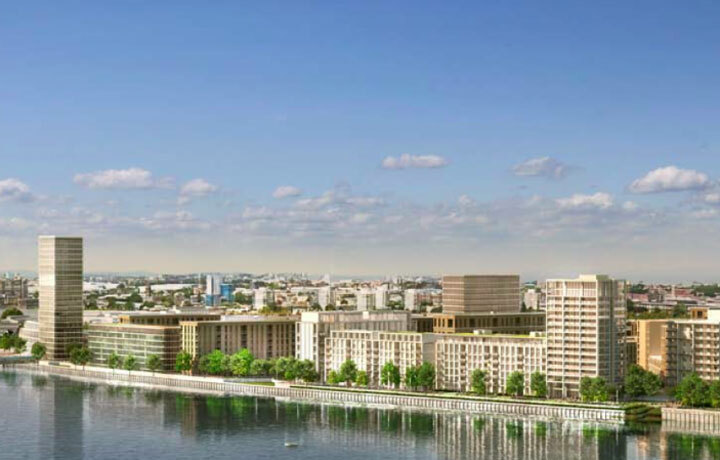 The largest London development scheme since Battersea Power Station has utilised a range of Speedfit plastic push fit fittings from PBPSA member company John Guest during the construction of 3,300 units. 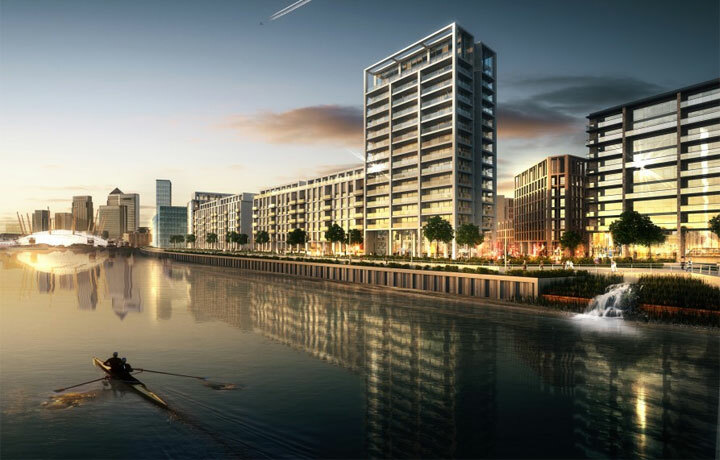 Parker Bromley, the mechanical contractor responsible for Royal Wharf, an exciting development located in East London’s Royal Docks, has selected JG Speedfit’s push-fit technology by specifying plastic over traditional copper fittings. 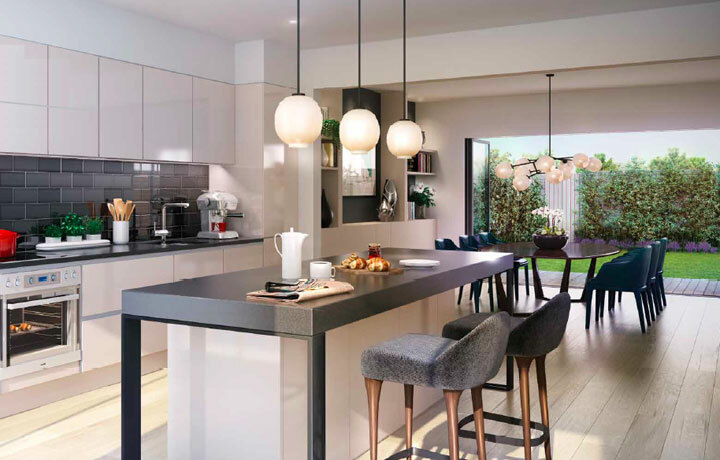 The company is using Speedfit’s innovative PB-1 Layflat pipe, together with a range of fittings from 10mm through to 22mm, to install first fix plumbing for domestic heating and water services. 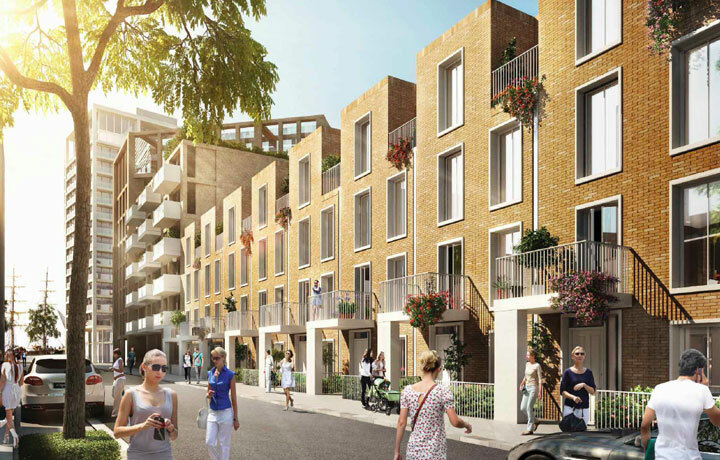 This is the first time that Parker Bromley has specified JG Speedfit products made from Polybutene-1 for such an ambitious development, stating that the construction methods being used for the development lend themselves better to plastic than alternative options. 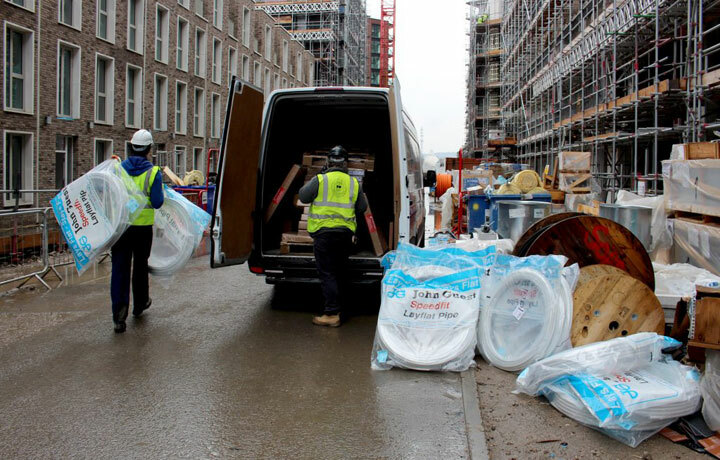 This is largely due to the flexibility of JG Speedfit’s PB-1 layflat pipe, and the ease of installation, which enables the first fix plumbing process to be significantly accelerated. It is widely estimated that push-fit plastic fittings can reduce typical installation times by 60% for projects such as this. Speedfit Technology is built into the DNA of all John Guest push-fit fittings. Its unique flexibility lies within its broad range of application, high reliability of performance, longevity of service and suitability to a wide variety of industries. This core technology behind John Guest fittings is the same concept incorporated in industries as diverse as plumbing, drinks dispensing, pneumatics, compressed air, water purification, drinks vending and telecommunications. Using Polybutene-1 as a key material in the Push-fit system, particularly the lay flat piping, this adaptability is one reason why literally billions of push-fit fittings are now successfully in use, around the world.